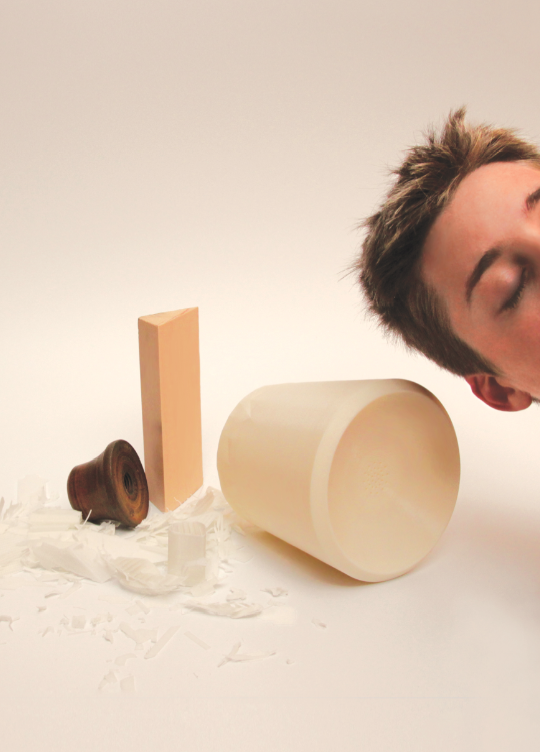 How can interactive objects encourage inspiration and dialog during brainstorming sessions? This summer, the Barcelona branch of the Smart Interaction Lab set out to answer that question through electronic hardware experiments. 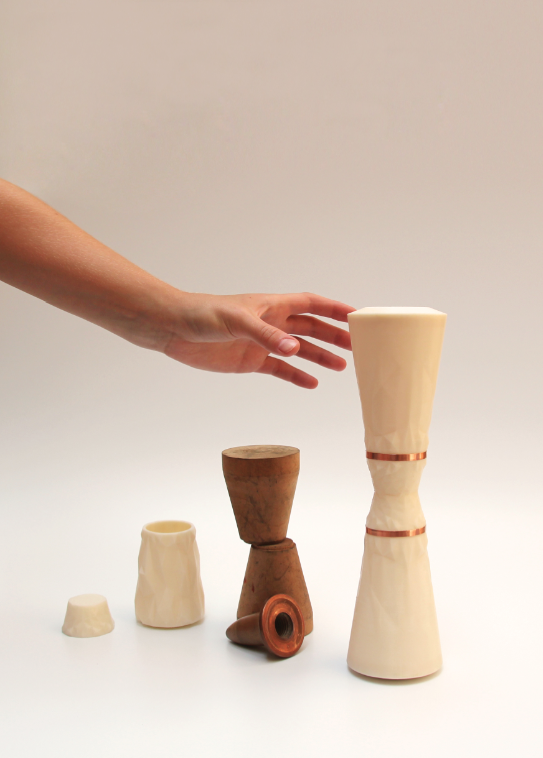 TOTEM is a series of tangible interaction experiments, presented at Barcelona’s first ever Maker Faire, a place where people show what they are making, and share what they are learning. Ideation sessions are part of everyday life at Smart Design, informing all the work we do. When reflecting upon these sessions, we developed the concept behind our Maker Faire project. We worked together as a team of multidisciplinary researchers and designers to explore how we can improve people’s experiences of the ideation process through tangible interaction. Our solution was TOTEM—a family of three unique objects that help people get inspired and stay engaged in creative conversations and debates in order to generate new ideas. It is composed of a stack of three separate but complementary objects: Batón, Echo and Alterego. 1. Batón is an unconventional talking stick that is passed around during ideation sessions allowing only the person holding the Batón to speak. After a certain amount of time the Batón begins to vibrate to indicate the speaker must pass the batón to someone else in the group. This tool allows everyone present in a discussion to be heard and it forces the most dominant speakers to be more concise, but also those that may be more shy to speak up. 2. Echo is a recording/playback bell-like device that can fit easily and comfortably into any setting—from creative spaces, to the living room of your home, to cafes. Echo works in two ways: it records the background noise from wherever it is placed, and as soon as a user picks it up and puts it to their ear, Echo will play back what it previously recorded. By shaking it, Echo will randomly play back other sound bytes from other parts of the day. The main aim of Echo is to help users get inspired by other adjacent creative conversations, keywords, and quirky background noises that we would not be able to pick up on without the help of technology. 3. Alterego is designed to be a new version of the Six Thinking Hats mind tool by Edward de Bono. 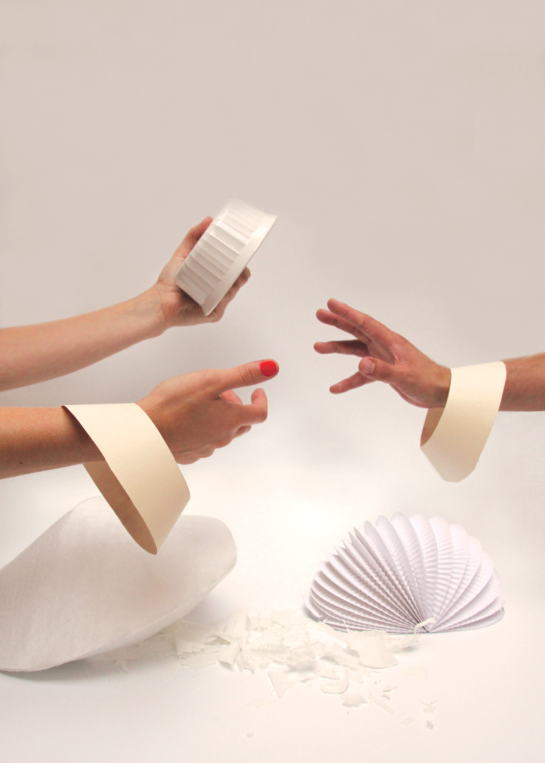 Alterego is a wearable device with three components, similar to a bracelet. As soon as a user picks up the objects they will light up with their own unique color, signaling that they are on. The three colors each have a purpose and code, to help guide the user to adopt different mindsets for evaluating ideas: green = optimistic, red = pessimistic, blue = moderator. This thinking behind this method is that it forces users to think outside their comfort zone and evaluate ideas in a balanced, unbiased manner—an essential skill for productive ideation. Smart Design and their Smart Interaction Lab are supporters of the Maker culture, a movement of invention, creativity and resourcefulness. Our project was well received by Faire visitors and we heard lots of great feedback. We look forward to considering those comments in our continued experiments. If you’d like to learn more about TOTEM, feel free to contact the Smart Interaction Lab. Special thanks to the TOTEM team: Junior Castro, Marc Morros, Erika Rossi, Ivan Exposito, Valeria Sanguin and Floriane Rousse-Marquet. Totem appears to be a very clever device. I appreciate the incorporation of physicality into an idea generation session. The alterego tool, however, lacks the notion of parallel thinking (everyone thinking in the same direction at the same time) which is a integral part of the Six Thinking Hats process. The great benefit of parallel thinking is that it eliminates argument which, regrettably, alterego does not. Furthermore, in most idea generation sessions, and certainly in Brainstorming, criticism is to be suspended until the idea generation session is over. Alterego is all about criticism, both positive and negative. The Totem Team, or anyone else interested in ways to run a successful Brainstorm, should read Brainstorming–Tried and True or Old and Blue (http://bit.ly/14eTrii).